Here was the quest: to find out whether he could actually play. As pianist Sam Leak put it on Facebook the other day: “I can’t tell to what degree he’s actually joking, just having a go at a hobby, or thinks he’s doing something serious...” Leak ended by saying that if the comic actor was allowed to be in the London Jazz Festival, he himself fancied a crack at the goofy professor role when they get around to casting Jurassic Park 5. Well, Sam, that sequel came out earlier this year, so stand by for Part 6. But we take your point. 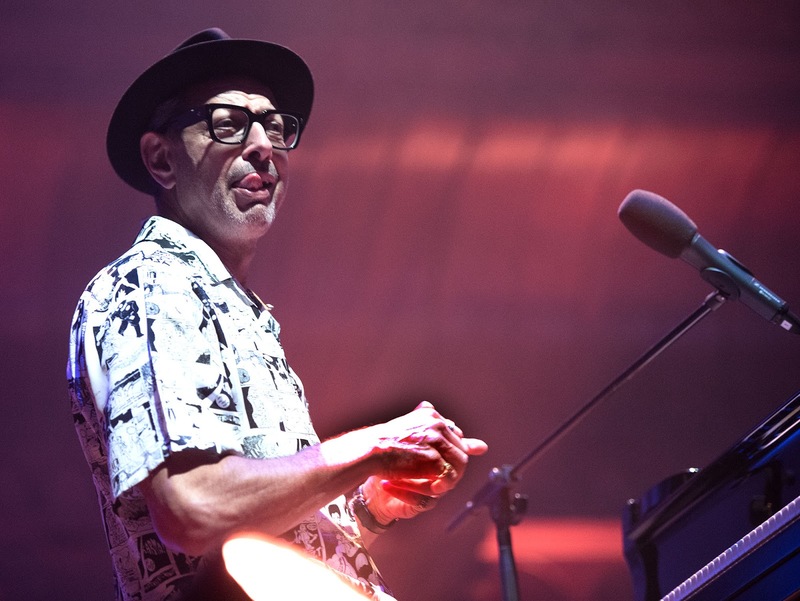 Jeff Goldblum has apparently been playing jazz for 30 years. He must have learned something in that time. We’ve seen him accompanying Gregory Porter on Graham Norton’s TV show, perched on the piano bench like a giant praying mantis, all elbows and knees, stabbing at the keyboard, picking out little jagged clusters of notes that kind of fit the tune, but only just. So is he a faker, or is he the new Monk? At the start of the gig (interrupted by a false evacuation alarm) Goldblum promised we would get a full two hours to find out, minus the interval. Actually what we got was a piece of amiably chaotic entertainment, more Butlins holiday camp than Ronnie Scott’s. He reminded me of the distant relative who turns up at the house on Boxing Day and just takes over, organizing a quiz, getting everyone to tell their favourite joke, playing a bit of jazz on the piano, asking us to admire his new shirt, getting the audience up for selfies with him. The band was well-padded enough to disguise Jeff’s contributions at the keys – organ, guitar, tenor saxophone, bass and drums, plus an occasional singer (Imelda May) – and they could have got along fine without him. Most of the material would have passed muster at your average midweek pub jam: Nostalgia In Times Square, Autumn Leaves, Cantaloupe Island, Caravan. The star twitched his way through it all, contributing the odd solo (never more than one chorus), often raising an arm in a curious gesture of… what? Appreciation? Supplication? It was hard to tell. He seemed in a state of permanent distraction. Much of the time he simply laid out, taking the opportunity to interact with someone near the front of the audience or behind him in the circle. It was fun. I enjoyed it.